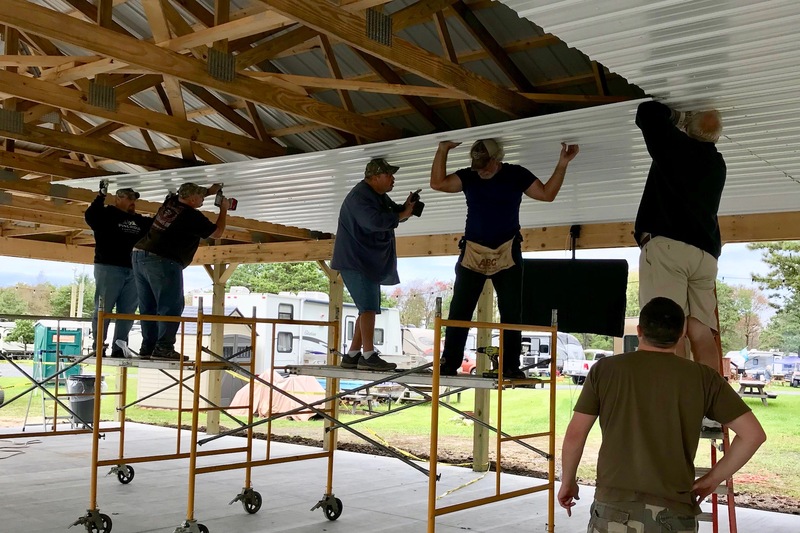 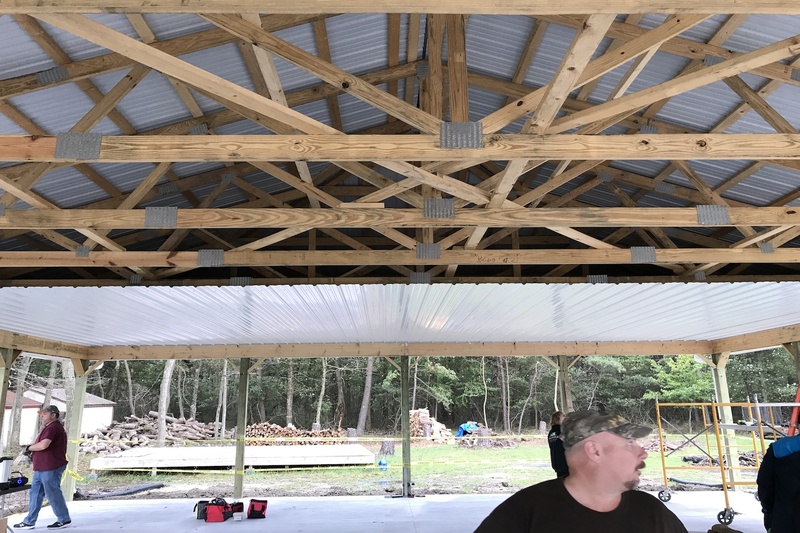 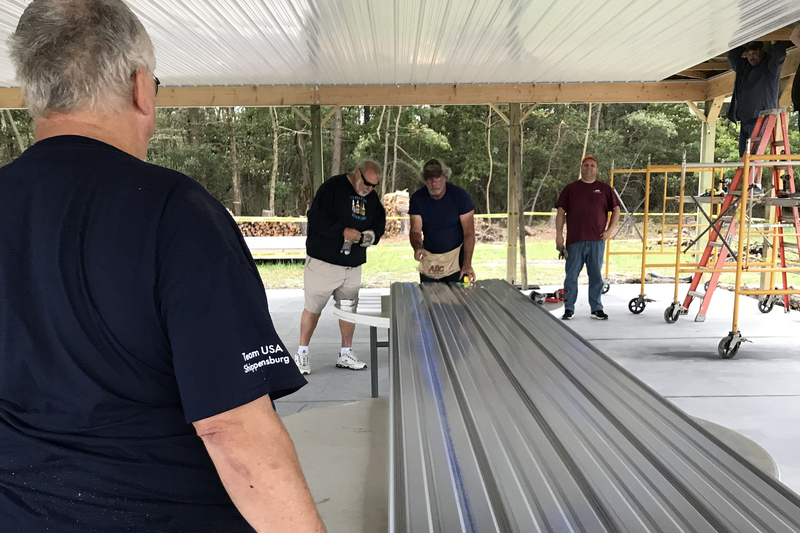 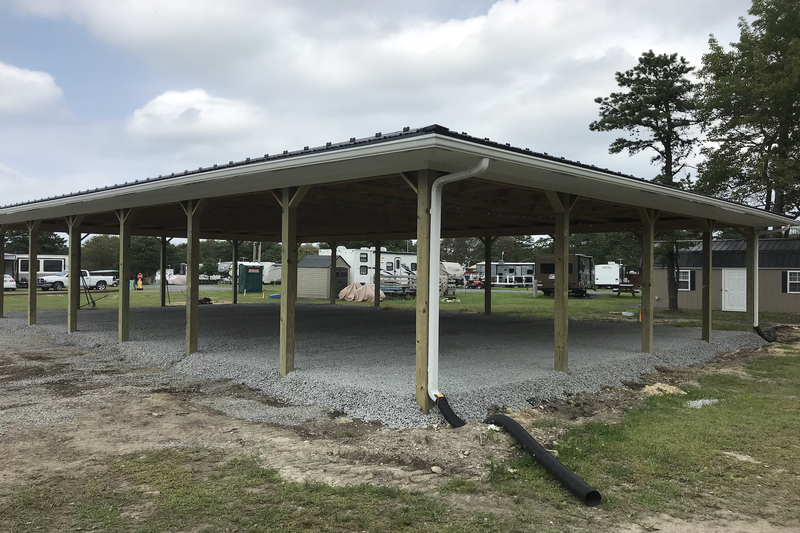 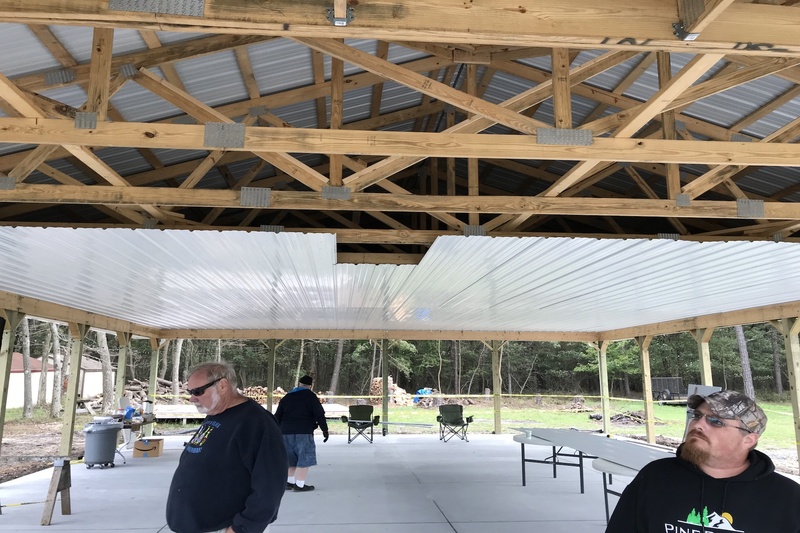 On September 22nd & 23rd, 2018 Pine Ridge Campground seasonal campers helped put the finishing touches on Paradise Pavilions’ new metal ceiling. 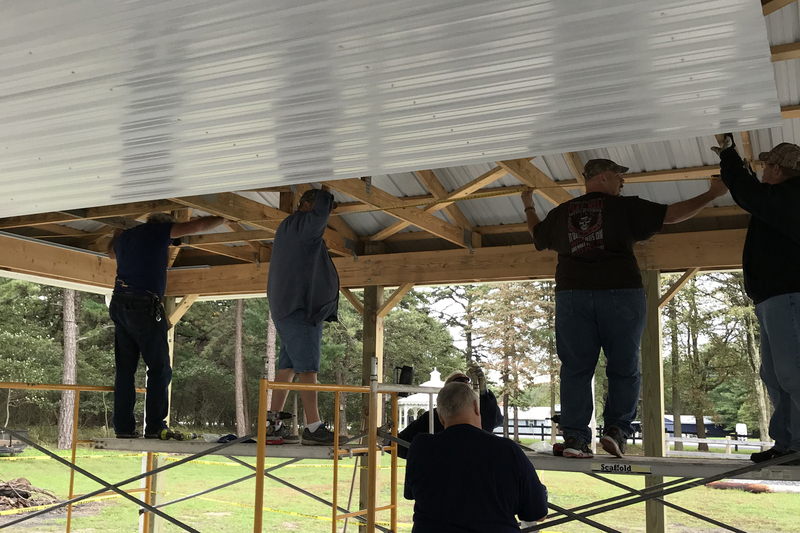 Pine Ridge Campground received the wonderful help from Fred Wagner, Jim Eck, Troy Middaugh, Tom Detwiler, Nicholas Fritz, Lou Hardee, Lauren Shelly, Zach Boboige, Jim Jennings, Dale Smith, & Paul Haut, along with the help of Pwner Patti & Stephen Haut. 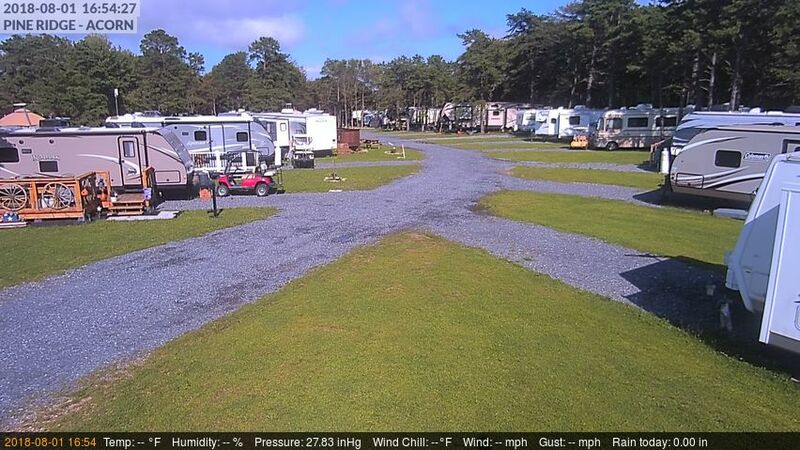 Pine Ridge Campground would like to thank these men & women graciously. 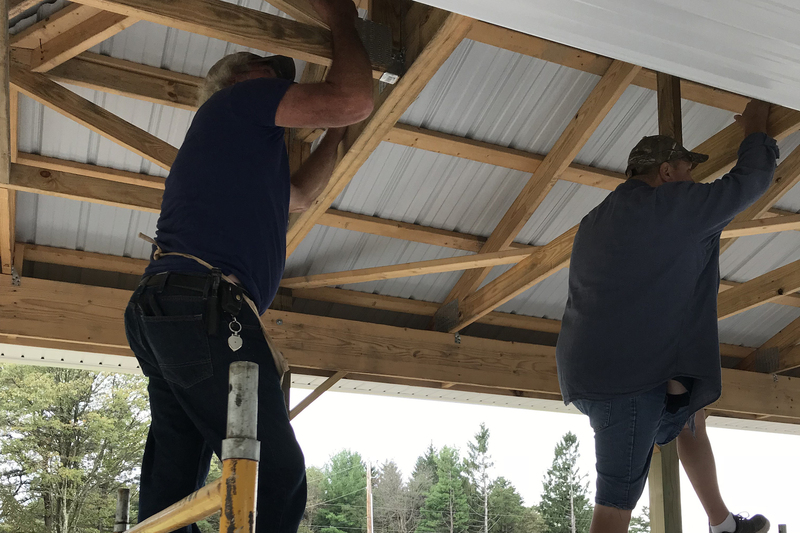 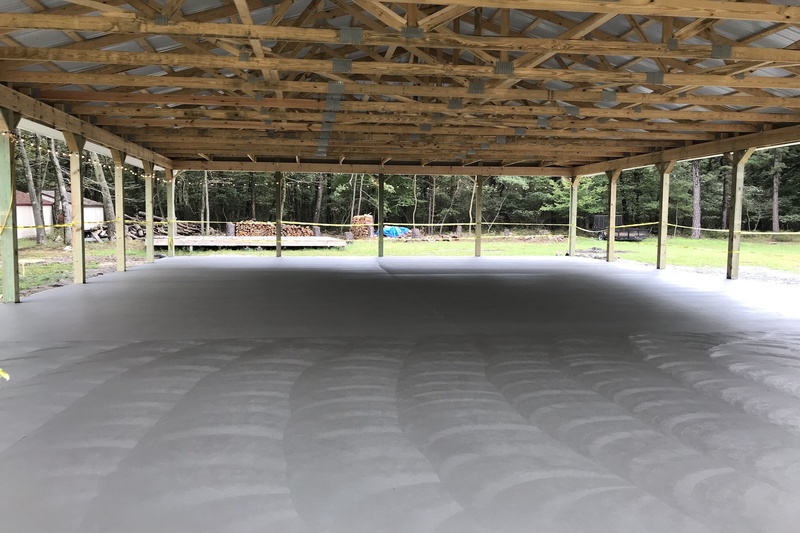 The new metal ceiling will now allow the campground to complete the finishing touches for electricity, sound entertainment, & WiFi, and to obtain the occupancy permit from Labor & Industry. 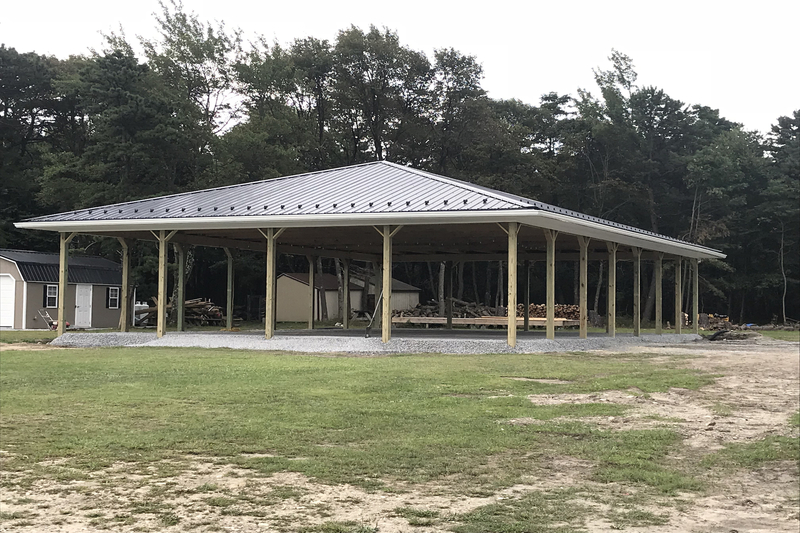 Take a look at the brand new & beautiful new pavilion at Pine Ridge Campground!